Studios and workshops will be open all over Surrey during the first two weeks in June and Surrey Guild members are well represented. As devotees will know, the Open Studios are sub-divided into North, South, East, West and Central areas and the informative brochure available in lots of places (including The Surrey Guild Shop and Gallery in Milford) includes some fabulous pictures and all the details needed to find individual artists and studio groups. The great thing about so many studios opening their doors in the same fortnight is that you can often visit a few in the same area, take in lunch in a nearby pub and have a very enjoyable whole day out - or indeed several days out. Lots of studios offer the opportunity not just to see the artists working, but also to have a go as well. However, do check the opening days and times to avoid disappointment before planning your trip as not all studios open every day. In the North, Nancy Shafee (designer in felt), Sue Holton (knitwear), Gabriella Sellors (jewellery) and Louise Bell (applique artist) are exhibiting and demonstrating together at Kent Road Studios (Studio No20) on the Molesey Trail. Nancy will offer the opportunity for youngsters (and maybe not so youngsters) to make a felt ball and on June 9th there may even be birthday cake! You can see the lovely ceramics created by Martin Tyler, one of our newest members, at Studio No5 - a venue on the Northwest Surrey Art Trail. 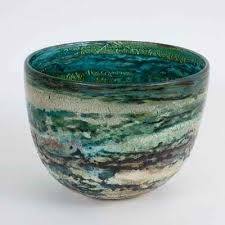 Jane Drown, another ceramicist, will be sharing studio space with others at Studio No26. In the East, Ruth Winchester, talented polymer clay artist is in Studio No48 with other artists and in the West area, Alison Catchlove (metalwork artist) and Adam Aaronson (glass blower) can be found on the same page in the catalogue with Studio Nos 135 and 136 even though not geographically side by side! Alison has spent a lot of time at Wisley Gardens this year, so her work is becoming well recognised locally. Lastly, if you are touring the South area you will be guided round a wonderful selection of varying crafts and art. Fee Fraser (machine stitch artists) is in Studio No72 on the Shamley Green, Cranleigh, Ewhurst and Rudgwick Trail, and Carolyn Wallis (weaver) in Studio No105 and ceramicist Alan Wallis in Studio No106 are on The Bourne Trail. Ruta Brown (jeweller) is joining a group of artists under the banner of Jeffreys Cottage Group at Studio No101. Linda Scott-Cerins (glass artist ) is sharing Studio No112 on the North Farnham Art Trail and will be giving visitors a chance to make a small piece of artwork and collect it at a later date after firing.